Are we ready for the paper computer? If you’re reading this on a computer, take a moment and look around your monitor or laptop screen. Do you see any stray pieces of paper, such as articles with highlighted passages, notes to yourself, or contact details to follow up with later? Me too. It seems that even after more than thirty years of widespread use, personal computers still haven’t completely replaced paper as a way of displaying and manipulating information. So can they? Should they? Members of the Human Media Laboratory (HML) at Queen’s University have been asking themselves this question for almost a decade. 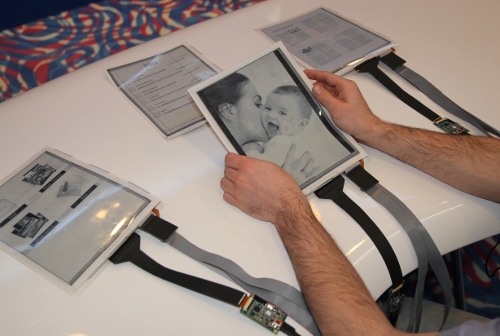 Last week at the Consumer Electronics Show, they unveiled a new prototype – dubbed PaperTabs– which they hope will provide part of the answer.